The School Community Organisation (SCO) Executive Committee would like to warmly welcome all parents, faculty and staff to the new school year 2018-19! 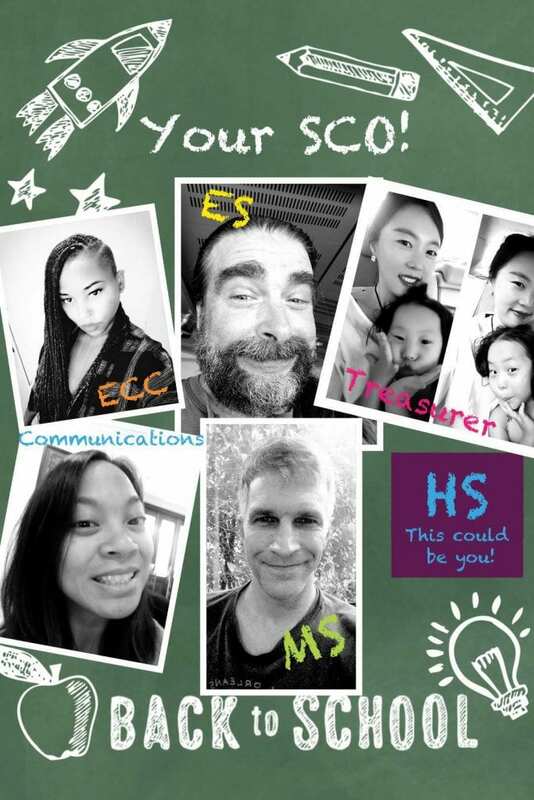 The SCO Executive Committee is a group of parent volunteers whose mission is to help “enhance and foster partnerships throughout the school community in support of the UNIS Hanoi’s Mission and Vision”. We do this mainly by organizing and supporting community-building activities and events and by bridging connections among parents, administration and faculty across different parts of the schools. In addition to your SCO Executive Committee, a number of wonderfully dedicated parents lead specific committees that organise parent volunteers around activities throughout the year. These committees include the Used Book Sale, Spring Fair, Swim Club, Snack Sale, Phoenix Boosters and Small Project Grants. We are still looking for volunteers to join these committees so if you are interested, please connect with the committee coordinators via their emails here. Finally, we wanted to encourage you all parents to join the UNIS Hanoi Parent Facebook groups. There is one for UNIS Hanoi ES Parents (for ECC & ES) and for UNIS Hanoi MS/HS Parents. These are helpful tools to connect with parents, a platform to ask questions, share parenting resources and stay updated on events. Please feel free to reach out to us anytime and with any question. We are here to support you.